The "big switch-on" from Everything Everywhere is continuing for UK customers. Everything Everywhere is the parent company of both Orange and T-Mobile, and is also the largest communications company in the UK. 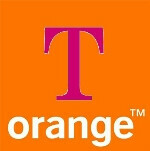 The company had begun the "big switch-on" last year by allowing Orange and T-Mobile customers to use each other's 2G networks, and now has announced that sharing will extend to 3G networks as well. The roll-out will begin next week and continue for a few months. Eventually, all 27 million Orange and T-Mobile customers in the UK will be able to use each other's 3G networks to make roaming easier, better covered, and less expensive. Uhmm I doubt it. Even tho I'm a verizon customer ..first I think verizon should expand there coverage to places like puerto rico, alaska us virgin islands before that happens. Because those places are still part of the US, I have been to them 3 places (puerto rico being my favorite) and I know some people will argue with me that verizon works in all those 3 places IT DOESNT and in those rare moments it finds a signal its roaming. In puerto rico while my droid charge was roaming I only had signal 50 percent of the time and I was only able to call and send text messages, data services didn't work at all since I only had a 1X signal. While at&t offers regular national 3G coverage in all those 3 places because the wife has at&t. And she had 3G in all those places. Alaska and us vigin islands are even worse for verizon completly no service not even 1X. So I just turned my phone off cuz it was useless. And used my wifes att infuse which had reception and wasn't roaming. Yeah verizon may work great in the states but outside of them its crap. So yea I think before verizon takes over everything like u said they should atleast work in the assosiated states the US has..